DryZone Basement Systems has been keeping basements dry in neighborhoods just like yours since 2007. We can solve your wet basement problem no matter how large or small it may be. We have more than enough experience and state-of-the-art equipment required to get the job done quickly, effectively, and permanently. Call DryZone Basement Systems to give you a free basement waterproofing estimate in Massachusetts and Rhode Island. We can fix your basement permanently! Basement Systems, Inc has been keeping basements dry in the United States, Canada, and the United Kingdom since 1987. 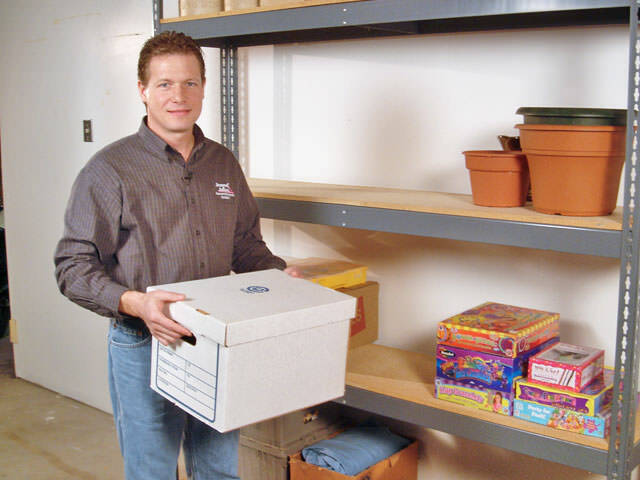 By using their developed strategy from long years of research they have provided a long-term and effective solution to wet basement problems. In Westerly, RI the basement of this condo was dealing with a large wall crack that was letting water seep onto the floor. For this crack we used our Flexispan system to seal the crack and prevent further leakages. The process includes cleaning out the crack and adding two layers of sealant, one that goes inside the crack one that creates a drainage channel over the crack. With the channel there, any water that could leak after the repair will get caught and stay off the basement floor. Then we put a layer of CleanSpace over the whole system for another layer of protection. WaterGuard is the drainage system DryZone uses around the perimeter of the basement to stop water from entering through the floor/wall seam. 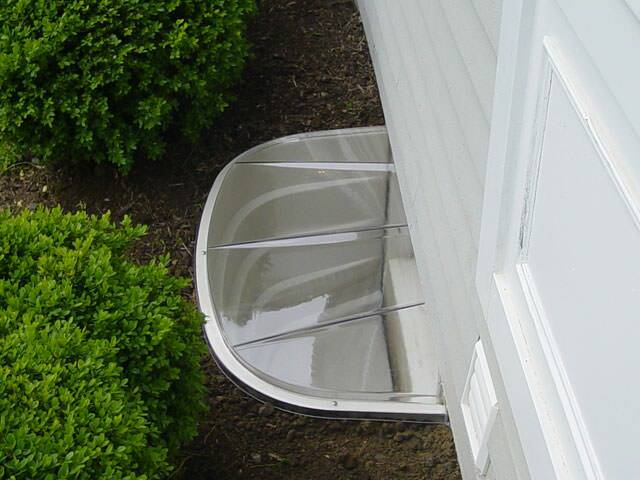 This property in Westerly, RI needed the WaterGuard installed right where the basement stairs were! We came in and removed the lower stair treads to install the WaterGuard system and put them right back when we were done! The owner of this home in West Kingston, RI contacted us for a free estimate stating water runs down from an open bulkhead, down the stairs and runs like a river in the basement, depending on the severity of the storm. We came in and installed TrenchDrain that directed that water to the SuperSump. Leaking cracks in the basement are never good, so when this home in Wakefield, RI found the crack in the foundation wall was letting water in, they knew they had to do something! Our FlexiSpan wall system is a permanent solution for leaking wall cracks and is one you can trust. We use a flexible sealant deep inside the crack and cover that with a secondary drainage layer that will direct any water into the waterproofing system installed, in the slim chance the sealant doesn’t hold up. On top of all that we add another layer of sealant to give the repair a finished and clean look! 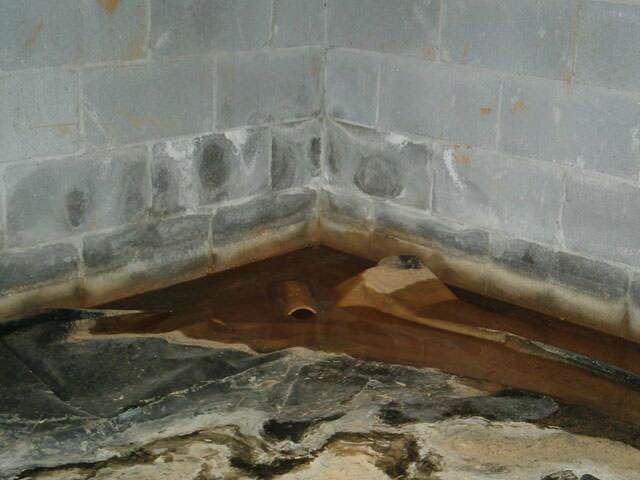 This stone foundation was leaking every time it would rain heavily in Coventry, RI. 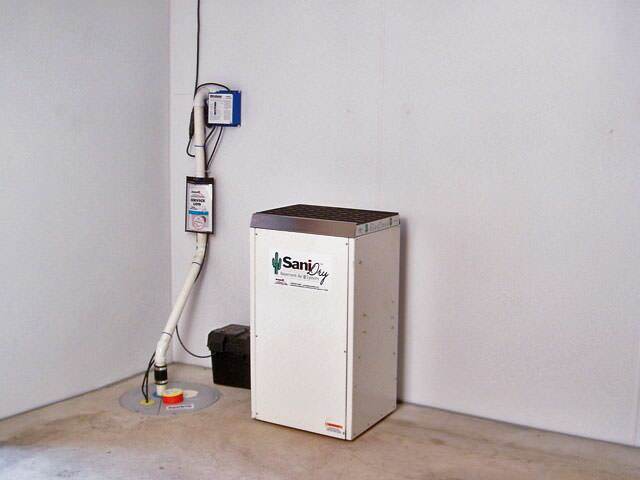 A partial WaterGuard system was installed so the homeowner could monitor the problem. We installed CleanSpace on the walls, tucking behind the WaterGuard. CleanSpace is a vapor barrier that would direct any water seeping from the walls into the underground drainage system and into the SuperSump on the other side of the basement. In this Barrington, RI basement, water was getting in and causing damage to all that precious storage space was only good for storing one thing, water! Once one of our design specialists got in the basement, he developed a plan so any water that could get in the basement would be sent right back out. With a SuperSump pump installed with a full perimeter of our Waterguard drainage system, this basement is ready to take on moisture. The Waterguard goes around the basement where the floor and wall meet and collects any water that makes its way in and brings it to the sump pump. Sitting below the surface and at the edge, the system is out of view and never an eyesore in any basement! When this East Providence, RI home was spotting puddles in their basement, they knew something had to be done about it. One part of our design specialist’s solution was Waterguard, a drainage system that will collect water that enters the basement and then send it to the TripleSafe sump pump that was also installed. That pump will then push the water out of the basement to help ensure the floor stays puddle free. Check out these amazing before and after photos in Cumberland, RI! CleanSpace Wall is a vapor barrier that gets tucked into the WaterGuard system. It directs any water from the walls into the drainage system. This Cumberland, RI basement has it going around the entire perimeter. DryZone installed SilverGlo insulation in this customer's Cumberland, RI home. SilverGlo is a 2" foam insulation board that is infused with graphite to reflect heat and lower conductivity. It is also a radiant barrier so it will reflect heat back into the basement, saving on energy costs! Some areas are more tricky to waterproof than others but we just have to get creative! We did just that in this Cumberland, RI basement. For this Mendon, MA install, Waterguard was added around the basement to collect any water seeping in and leading that water to the sump system installed. The Waterguard sits below the floor's surface, with just a small bit visible if you look very closely. We jack up the floor for the install but then concrete over it for a nice and smooth finish. In this before and after, minus the wet new concrete, there isn’t really much of a visible difference. The drain is not an eyesore and won’t interfere or take up space in your basement. Collin in Tiverton, RI had a little bit of water in his basement after it rained. There was no standing water but he rented this home out and the tenants used the area for storage. We came in to install a full perimeter system. The oil tank needed protection as well. The WaterGuard goes around the system and CleanSpace is installed on the floors to prevent damage in case of an oil spill. Wall cracks are a friend to nobody’s basement, like this crack in Swansea, MA that was allowing water to seep in and onto the floor, putting their belongings at risk for water damage. After a family member recommended us, the homeowner got in contact and wanted to get this crack sealed to put an end to the water coming through this crack. Along with using our FlexiSpan system to seal the crack, CleanSpace was used to add an extra layer and a SaniDry XP dehumidifier was installed to help combat the moisture in the basement. Now with a sealed crack and dry basement, the homeowner is happy to refer us to their friends and family with basement waterproofing needs. This home in Fall River, MA needed a waterproofing solution for their basement and gave DryZone a call, and what a good call that was! We were able to check out the space and devise a plan that would whisk any water that made its way into the basement, out! Our Waterguard was installed around the perimeter of the basement to accompany the SuperSump sump pump. With this Waterguard drainage system, it will collect water that seeps in and the water will then flow through the system to the pump liner where the pump inside will push it out of the basement. What a great solution for this family! Basement Systems, Inc. is the world's largest network of basement waterproofers. 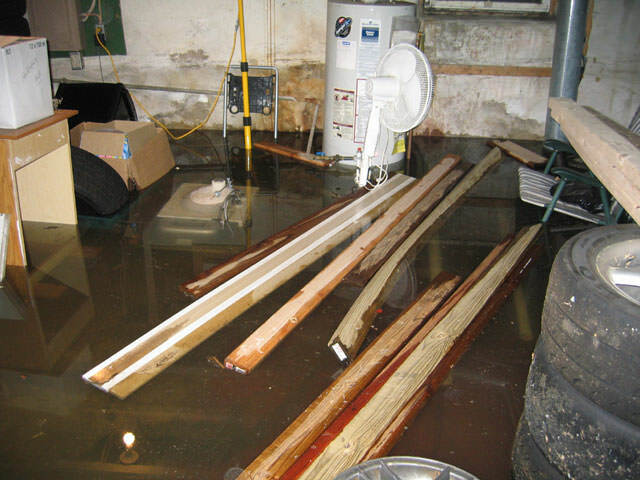 We deal with all of the places that water can intrude your basement such as, walls, floors, and the joints between them. 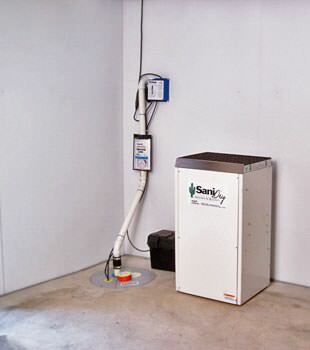 We use our own developed products that have been patented and perfected to provide you with a dry basement. Our certified technicians work with you to customize your waterproofing solution and will provide you with a lasting dry basement. 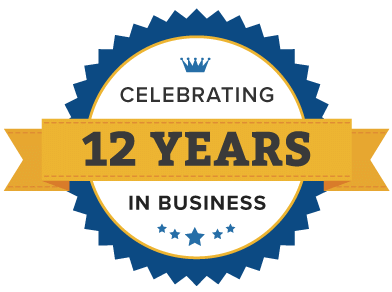 Whether you live in Newport, Providence, Framingham, Brockton, Quincy, Woonsocket, Warwick, Fall River, Cranston, Weymouth, Bristol, Westerly, Milton, Braintree, Plymouth, Brookline, Taunton, DryZone Basement Systems can take care of your leaking basement and basement repair needs in Massachusetts and Rhode Island. "In conversing with the crew, I was very pleased to learn about your well..."
In conversing with the crew, I was very pleased to learn about your well managed company leaded by Todd and his staff. If I were not retired I would apply for a job in your company and pray that I was hired. Your warranty makes me feel that this is an investment and not an expense. I will use this as a positive psychological tool to show to the future buyer that this house is safe and free of future basement issues. I will recover my money with a higher house selling price, with a better return than investing in the stock market! "Fantastic Company, great customer service, professional team"
"Ryan and Tyler were great. They are friendly and worked well together..."
Ryan and Tyler were great. They are friendly and worked well together. They were on time and represented the company well. This involves "painting" the basement walls and floors with a waterproof coating of cement that's meant to seal out the moisture. 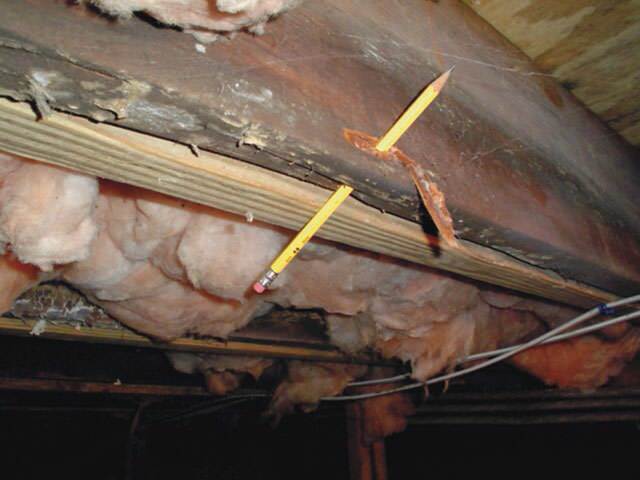 It applies directly to the concrete's surface with a brush or roller and is often applied when a homeowner is preparing for basement finishing. This involves digging out the entire perimeter of the basement, installing a new drain, and possibly adding a waterproof coating on the walls. This type of installation has been used for many decades—a drain of this type is generally installed when the home is built. 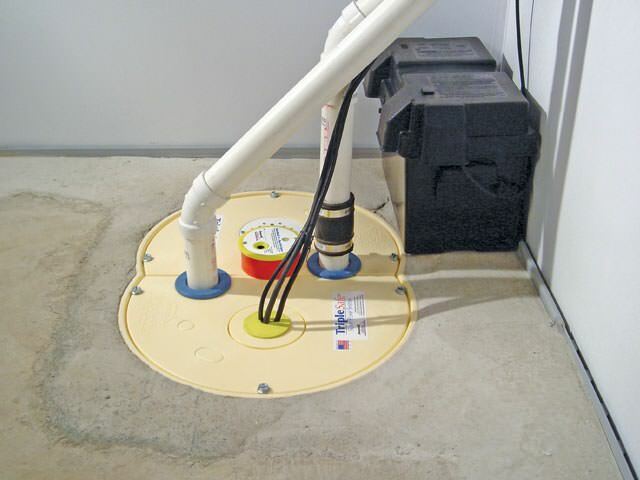 Installs on top of the basement floor with a drain that runs along the basement walls. Collects water and sends it to a sump pump system. No jackhammering is required, and the installation is safe for a monolithic basement floor. Installs underneath the basement floor, with a drain that runs along the basement walls. Collects water and sends it to a sump pump system. The system is easy to service, and it can collect water leaking from the walls or windows as well.